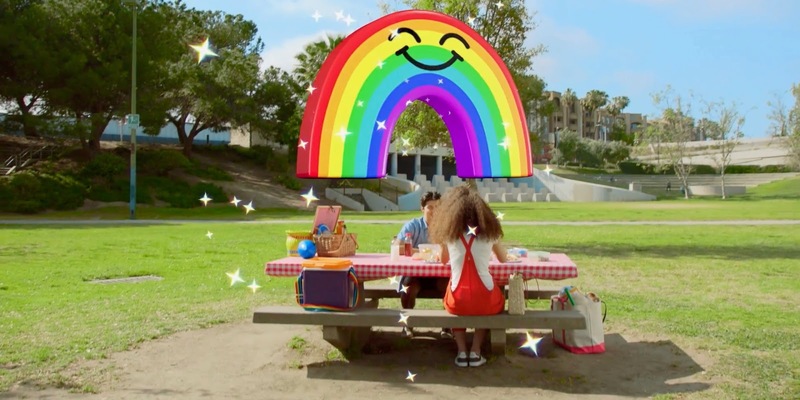 Today, Snapchat is rolling out a new feature to it's app which includes a new feature called 3D World Lenses for the rear-facing camera. World Lenses are like the popular selfie Lenses introduced over a year ago, but with a dash of AR (Augmented Reality) which makes few things more interesting. While Snapping with the rear-facing camera, simply tap the camera screen to find new Lenses that can paint the world around you with new 3D experiences! These effects looks nice with heavy 3D elements which looks real with their shadows and depth. This new feature is mostly likely encourage Snapchat users to take more photos with the back camera, too, which could be seen as a jab at Instagram considering that’s been its domain. For its part, Instagram has aggressively rolled out Snapchat-like features into its photo sharing app over the past several months including a Stories feature copied directly from Snapchat. In response, Snapchat has been pushing its own Stories feature forward with new abilities like search. Today’s Snapchat update was first rumored earlier this year.